Abbyssial ridden by Ruby Walsh shocked favourite Tiger Roll to win the AES Champion Four Year Old Hurdle at Punchestown. The Willie Mullins trained 7-1 chance cruised to a comfortable six-and-a-half-length victory in Ireland. Plinth was second, with the Nick Williams-trained Fox Norton third. 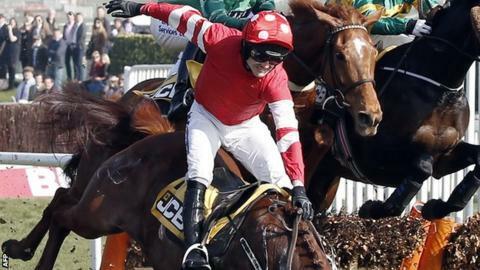 Abbyssial had fallen on his last start in the Triumph Hurdle at Cheltenham with Walsh requiring surgery after suffering a broken arm.